The rainy season is just around the corner. As temperatures drop, you are going to need another source of angas aside from your mala-Channing Tatum six-pack, which will soon be hidden underneath your sweater. Our pick: your hair. Ditch that undercut, and go for something fresher. We have some tips below. 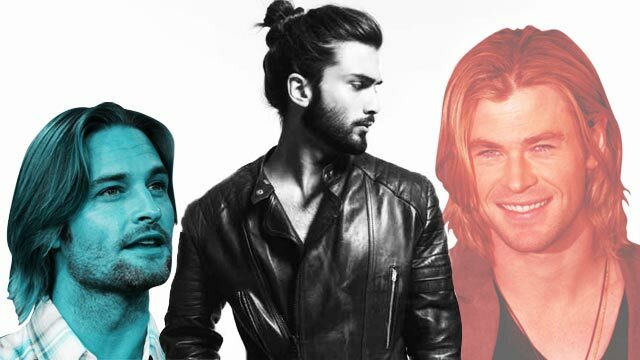 For this chilly weather, you'll want to grow your hair long to keep yourself warmer. You’re probably worrying about the extra effort you’ll have to do if you grow out your hair, but it just so happens that the look is the easiest a man can maintain. You can just either tie it or leave it messy like rock stars do. This is perfect for all face shapes and hair densities. Don't want to grow your hair down to your lowermost vertebrae but also don't want the same old clean cut? Maybe you can give the Thor Look a try. Sleek, stylish and liked by the ladies, this shoulder length hairstyle can bring out the youthfulness in you. Whether it's up in a bun or hanging freely around your face, it will look good. Does the office code say you can't keep long hair? Have it trimmed to a length that doesn't pass the nape, and don't have it shaved. This makes you not break the rules, and at the same time, look like an almost-rebel. The pro-tip: Pick a color that complements your skin tone as that will help make your best facial features pop. Fair skin – Looks great with red, dark brown, and ash brown. Well, actually you'd look good in other colors too but these can make you stand out. Moreno skin – Try infusing new life into boring black by opting for darkest brown or auburn. This color is rich yet it doesn't make your own shade appear darker. Dark skin –Try maple brown, toffee, and other rich, warm colors to make your face pop out. Keeping a black hair only hides your best facial features. Sometimes just changing your hair product could lead to a refreshing new look. Wish you have hair like that of K-pop stars? You can get a digital perm to make your hair wavy. Not just for girls, it's also for guys who'd like to give themselves a distinct change in appearance. Many salons around Manila are offering this service (it starts at around P1,000) such as David's Salon and Tony and Jackey.